Pensacola State College Athletic Director Bill Hamilton will be inducted into the 2018 Florida College System Activities Association Hall of Fame. This fall, Hamilton will start his 35th year in college athletics. Twenty nine of those years have been at Pensacola State where Hamilton was head baseball coach before retiring in 2010, and the college’s athletic director since 1999. With an overall record of 703 wins and 468 losses, Hamilton led the Pirates to their first-ever state baseball championship in 2004, and a sixth-place finish in the JUCO World Series where the team received the Tomas Howard Sportsmanship Trophy that same year. For his efforts, he was named the FCSAA Coach of the Year, NJCAA Region VIII Coach of the Year and the ABCA/Diamond Regional Coach of the Year for NJCAA Division I.
Pensacola State President Ed Meadows described Hamilton as the best of the best. “Bill is an outstanding college and community leader, coach and mentor to our student-athletes. As a coach, his record speaks for itself, but to Bill it was not about just winning, it was about preparing our next generation of leaders,” Meadows said. In 2008, Hamilton surpassed retired legendary Coach Buddy Kisner as the “All-Time Career Leader” in wins at Pensacola Junior College with his 525th career victory. He finished the year with 561 wins as the Pirates rolled to a 43-8 record, a conference championship and a NJCAA national poll No. 1 ranking for the last six weeks of the poll. It was Pensacola State’s first ever No. 1 ranking in the college 60-year history. Hamilton joins seven other Pensacola State administrators and faculty members – President Horace Hartsell; Tom Botsford, publications; Vicki Carson, athletics; Ed Holdnak, student government association; Ken McAferty; Brain Bowl; Joy McClintock, forensics; and Donn Peery; athletics – to have been inducted into the FCSAA Hall of Fame since 1993. The FCSAA Hall of Fame recognizes administrators, coaches, advisors, officials, students and others who have contributed at least 10 years of service to FCSAA or one of its member institutions. 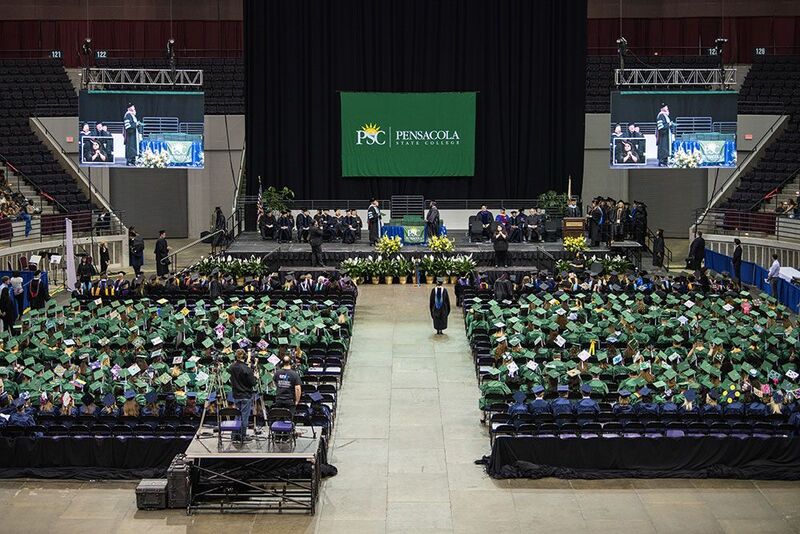 Inductees are selected by peers on the merits of their community and state college contributions and achievements as well as significant accomplishments. Hamilton’s career in athletics begin as an assistant at Chipola College in 1984-85. From 1985-87, he was an assistant coach at Columbus (Georgia) State University. While there, he helped Head Coach Derek Mann lead the Cougars to two NCAA Division II World Series appearances, finishing runner-up in 1986 and fourth in 1987. From 1989-90, he guided North Florida Junior College in Madison. In 1989, he was the college’s director of athletics. The FSCAA Hall of Fame is not the only accolade Hamilton has received over his storied career. In 2010, he was inducted into the NJCAA Baseball Coaches Hall of Fame in Grand Junction, Colorado, and the Pensacola Sports Association’s Hall of Fame. Huntingdon College, his alma mater, inducted him into the Athletics Hall of Fame in October 2017. Born in Lake City, Hamilton grew up in Marianna. 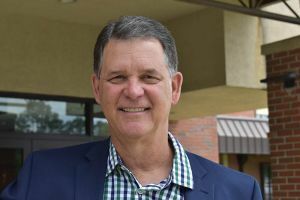 He received a bachelor’s degree from Huntingdon College in 1982 and has served on Huntingdon’s Board of Trustees and the National Alumni Board of Directors. He received his master’s degree in administration and supervision from Columbus State University in 1987. He and his wife, Cathy, have one daughter, Lindsay (husband Chris) Sullivan, and two grandchildren.